The Data Special Interest Group has developed an Asset Data Management System Model for discussion by the AM Council membership. Take a look at the details here. 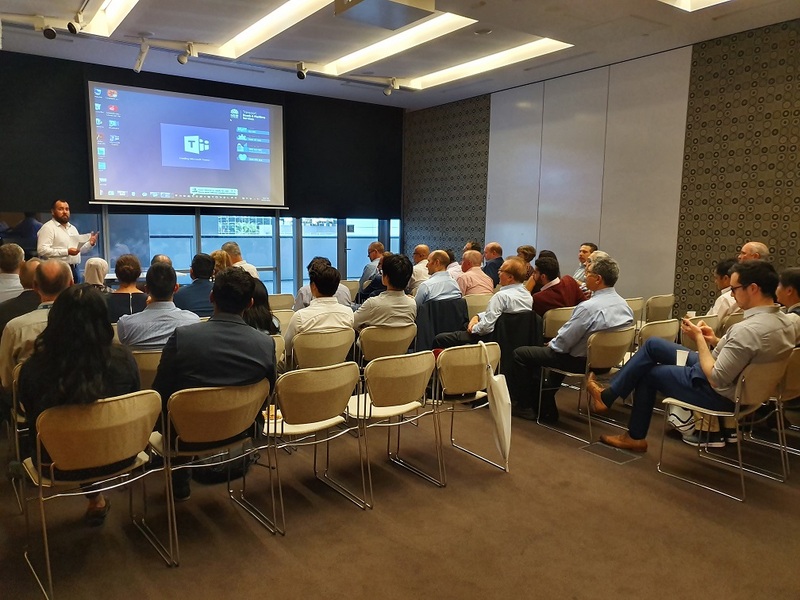 A great attendence of approximately 45 at Sydney's technical and networking session last week. It was noted that Mark Ragusa from Ausgrid has filled the remaining vacant committee membership position, and we welcome him on board. The Chapter then heard from Lucio Favotto, Principal Manager Infrastructure and Fleet Services, Transport for NSW. Lucio provided an insightful presentation on the following - Asset Management across a multi-modal asset portfolio - Transport for NSW (TfNSW). 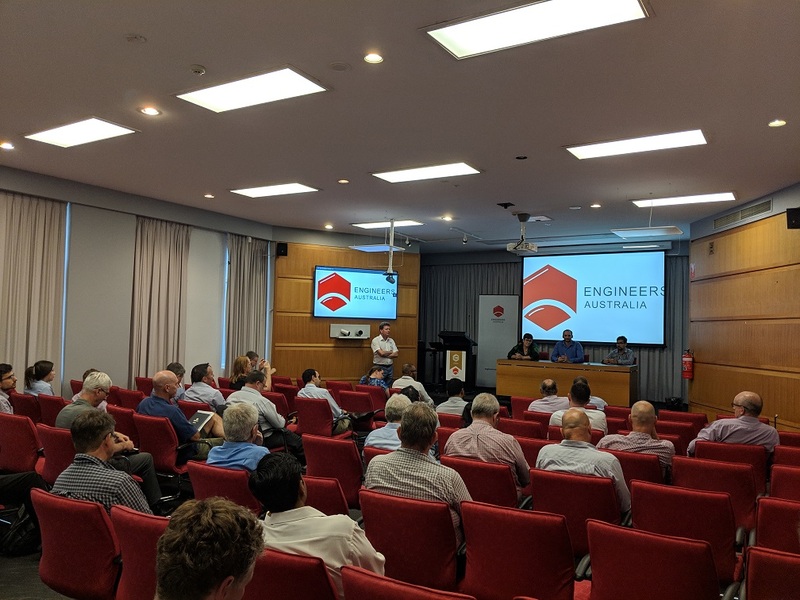 The Brisbane Chapter held a Technical session on the 21st March in conjunction with the Maintenance and Reliability Special interest Group. There were over 60 attendees present to listen to Mr Ian Sedgwick and Mr Ricardo Santos speaking about Dynamic lifecycle costing and Risk Based Inspection regimes respectively. This was followed by a Q and A Panel session which included the speakers and AMC board member, Dr Monique Beedles. China Asset Management Study Tour - Interested? 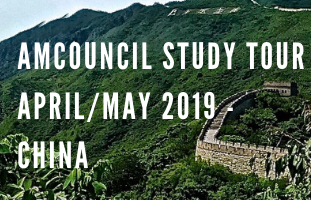 AMCouncil is seeking expressions of interest from asset management professionals wanting to join a study tour to China, to coincide with the ISO 5500x meeting happening in Nanjing 6th - 10th May 2019. This trip will provide you with the opportunity to visit a variety of sites to learn, explore, share and compare asset management across industry in an international setting. Read more: China Asset Management Study Tour - Interested? 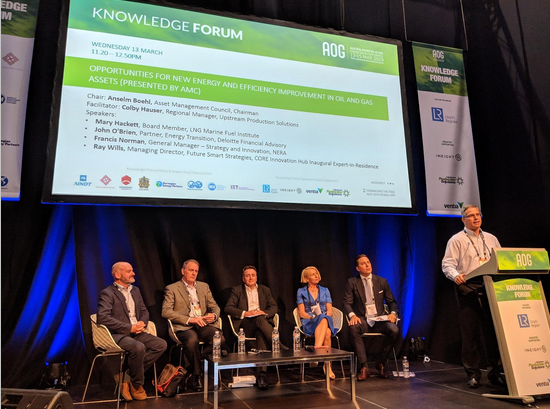 The AMCouncil was proud to host a facilitated panel session at this year's AOG Expo to dicuss ways of improving the identification, evaluation and implementation of energy efficiency opportunities on oil and gas projects. Thought provokers on the panel included: Mary Hackett, LNG Marine Fuel Institute; John O'Brien, Deloitte; Francis Norman, NERA; and Ray Wills, Future Smart Strategies. The future of energy was much discussed. Are we moving fast enough to transform the way we provide energy to the world? Thank to Colby Hauser from Upstream Production Services who facilitated the session before opening up to the forum for some very interesting questions.